Freon in this case more or less means refrigerant, because you could in fact have a system that uses R410a that is also known as Puron. Puron is a trademark name commonly used to describe this new air conditioning refrigerant. R22 Freon and R410a Puron are the only two EPA & Manufacturer approved refrigerants for use in a High Temp air conditioning application like residential air conditioning or commercial air conditioning. Notice I said High Temp… This application design temperature is to maintain temperature of a structure between 70 to 80 degrees. There are other applications and many different refrigerants. So you need to realize before reading any further this subject is on High Temperature Central Air Conditioning application ONLY. When a home air conditioner is low on refrigerant, it will perform inadequately not putting out enough cooling in all areas of the structure. However, a low refrigerant suspicion doesn’t mean something else could be at play with your system. Guessing will not fix your air conditioning system. I’m not paid to guess just as much as I am not paid to “play around” with your system. I can only get to the root of your problem by diagnosing it and that requires a visit to your home in person. This is what I do for a living. Many people to this day, believe their air conditioning system uses refrigerant and this liquid needs to be replaced or refilled at some point. Wrong. The only time you need refrigerant is when you have developed a leak or the refrigerant circuit needs repair. However, if you simply refill the system and there is a refrigerant leak then it will leak back out again a short time later depending of course how large or bad the leak is. Doing such things listed above will void ANY manufacturer warranty, not to mention add serious costs to repair up to and including the replacement of your AC System. When you look at your AC equipment you don’t see anything leaking from it, so it must be OK? 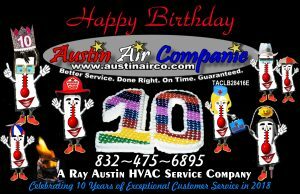 Condensation or moisture isn’t refrigerant. Water leaks are an entirely different subject. Just because you don’t see anything when looking at your AC system doesn’t mean much…. Refrigerants turn to vapor under our atmosphere many times you will not be able to visually see the leak without the help of a refrigerant detector. Trying to guess where a refrigerant leak is without testing for it is NOT RECOMMENDED under any circumstance, UNLESS you are replacing the whole Air Conditioning System or you enjoy the possibility of wasting money. National average life of an Air Conditioning System is 15 Years. If yours didn’t last that long you may want to consider making a change some where. I hope this information saves you from making a costly mistake. Have a GREAT Summer! Thank you for visiting.